 Final Flake & Flames trailer premiered at Twitchfilm! 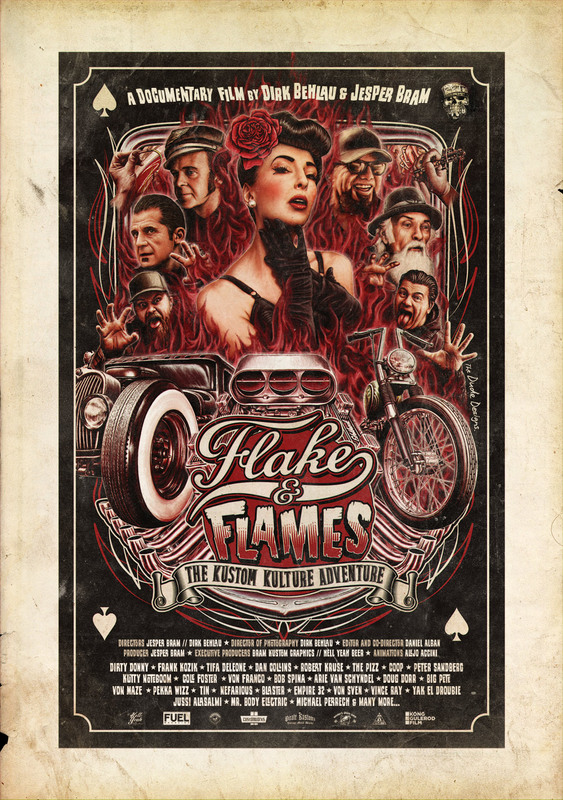 Drum roll please………… It is with great joy that we can now announce the OFFICIAL RELEASE DATE for Flake & Flames. The date is APRIL 29th. We are now taking pre-orders from our new shop at www.buyflakeandflames.com! Flake & Flames to be released in April 2013! Attention in the pits! 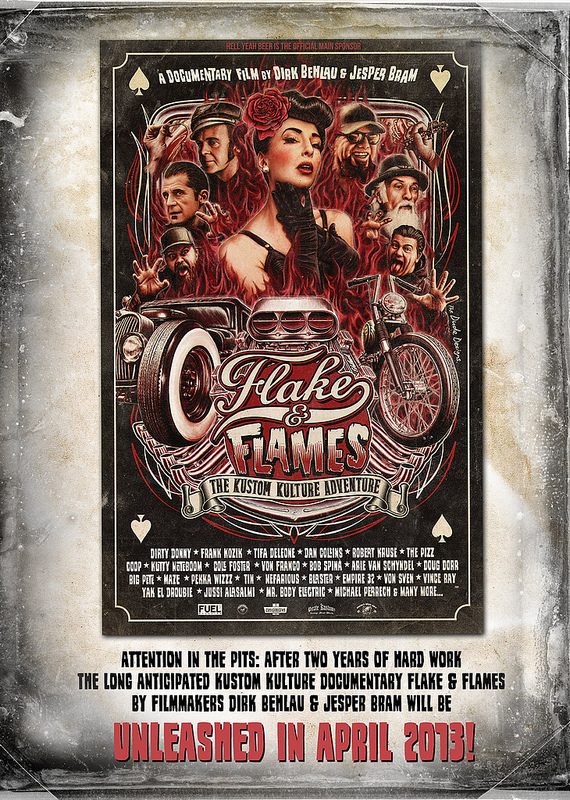 After two years of hard work the long anticipated Kustom Kulture documentary FLAKE & FLAMES by filmmakers Dirk “The Pixeleye” Behlau & J.Bram Kustom Graphics will be UNLEASHED IN APRIL 2013! For all of you who bought tickets to the Wrap Up Party through our funding campaign. The Party will be on March 9th 2013, at the The D Diner in Copenhagen, Denmark. We sent you an email on monday with further info. Looking forward to see you!